Bill MacKay is a brilliant guitarist who writes songs that are both accessible and technically demanding, without ever seeming like the technique is the point. 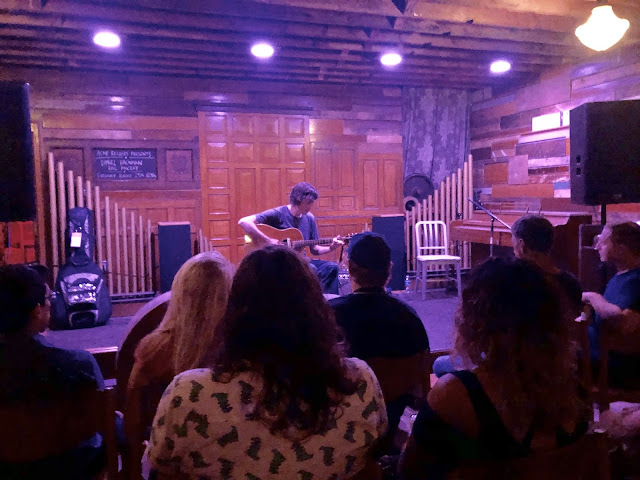 Regular readers of this blog will note that I have often recorded him either accompanying long-time collaborated Ryley Walker, or graciously opening up for other performers at Acme. 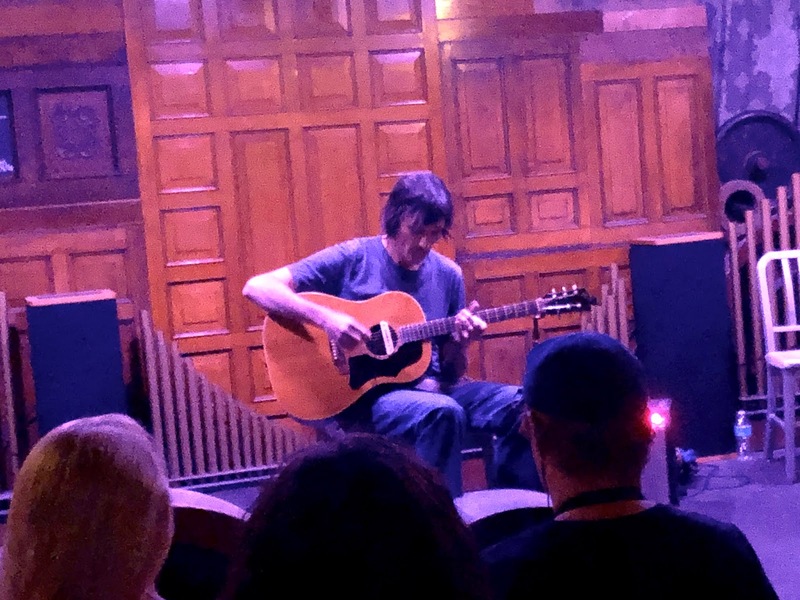 Musicians who play other instruments sometimes present a cliche of guitarists as being a bit overly enamored with themselves and always wanting more attention and time for solos and the spotlight. There may be guitarists out there who do in fact live up to this, but Bill doesn't seem to be one of them. When he plays with other guitarists he will alternate supporting the other's performance with shining moments of his own. To me, it never seems like a contest where one performer is going to win. Musicians like MacKay seem to value the overall quality of the music over how they themselves are perceived by listeners. Most important to the taper and blog communities, he's always been friendly and generous with his time. 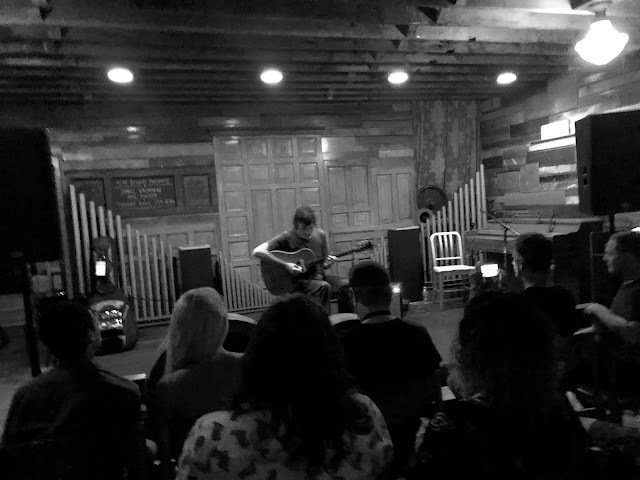 I was mentioning to him a few weeks ago that I have seen him perform in Illinois, Wisconsin, Minnesota, and Tennessee. He gets around - make sure you check him out whenever you have the chance. For this show, Bill opened up for Daniel Bachman, who was on a lengthy tour for the first time in what seems like ages. You'll get a taste of that performance on this blog soon. stream the goodness right here by pressing the "play" arrow. This set was recorded after obtaining explicit artist permission by Richard Hayes using a pair of Line Audio CM3 (cardioid) microphones (hand-built in Sweden) along with a soundboard feed to a Sound Devices MixPre6 recorder (manufactured with pride a few hours drive away from Milwaukee). The files were mixed, trimmed and gentle compression and careful EQ were applied using Audacity. The files were extracted to ALAC and mp3 format using xAct. As always, but not usually specifically mentioned, I am very much indebted to Ken Chrisien, the owner and operator of Acme Records and Music Emporium in the Bay View neighborhood of Milwaukee's south side. Without his fantastic booking abilities and exquisite musical taste, as well as his unending patience with this blogger's attempts to document the live music provided there, this blog would be a much bleaker place than it is. To suggest that vinyl enthusiasts have a second home at Acme is to utter the obvious. To recommend that you purchase as much of your music there as you can is the easiest suggestion I have ever made.